Cat food quad-seal bags are used to package variety of cat foods. 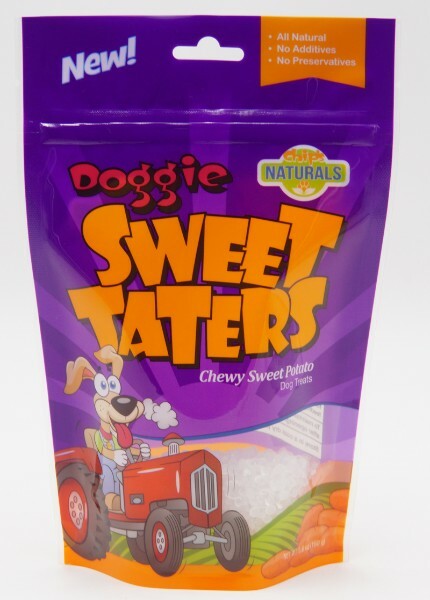 Cat food quad-seal bags can protect food quality and prevent volatilization, penetration, collision and extrusion. 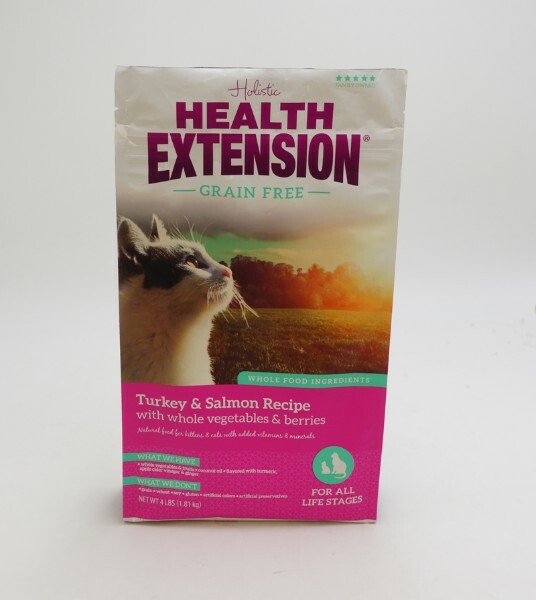 The quality of cat food quad-seal bags directly affects the grade of cat food. 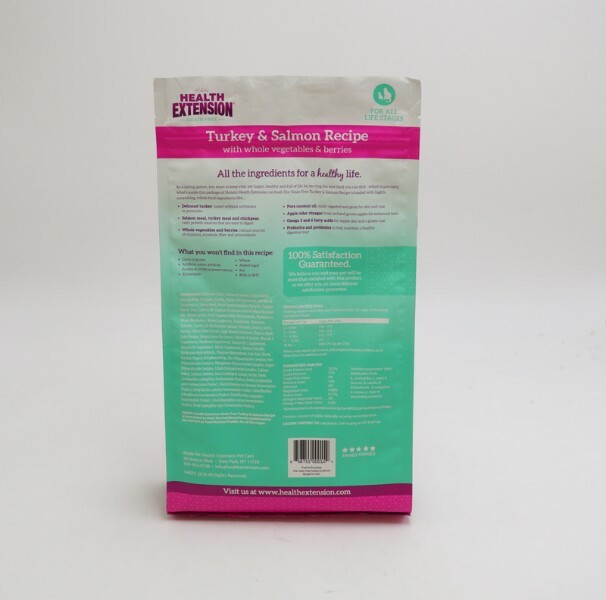 High-quality cat food quad-seal bags fully reflect the cat foods in them are also high quality. Today, cat are becoming more and more important, and the design of cat food quad-seal bags has become very important. 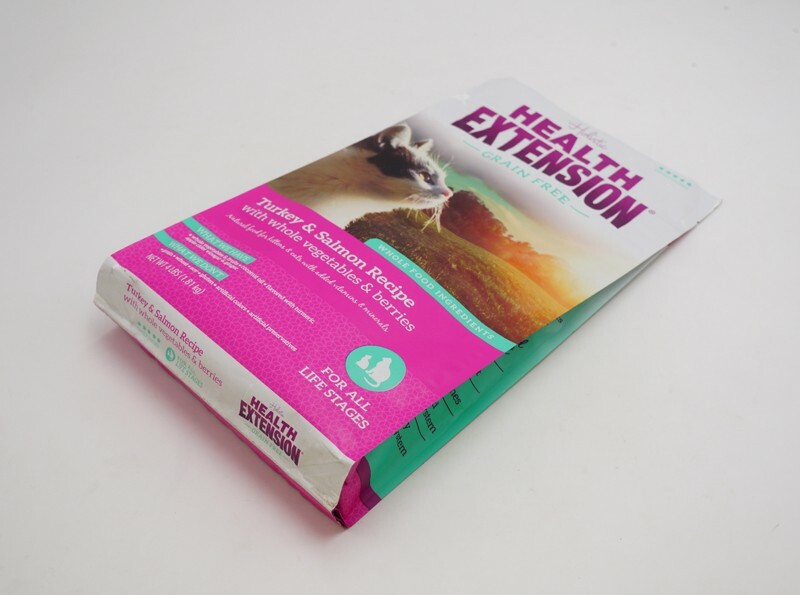 Of course a good cat food bags supplier is more important who will realize your design perfectly. Believe our factory Weihai Woda New Material will be your good choice. 1. 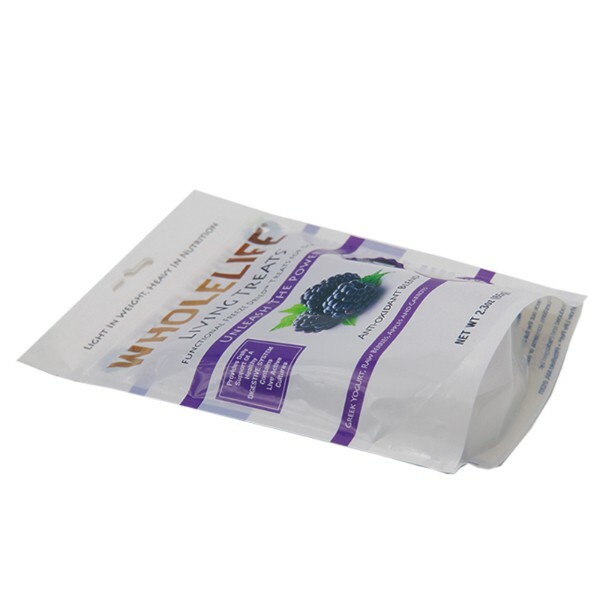 Cat food quad-seal bags are durable and moisture proof. 2. 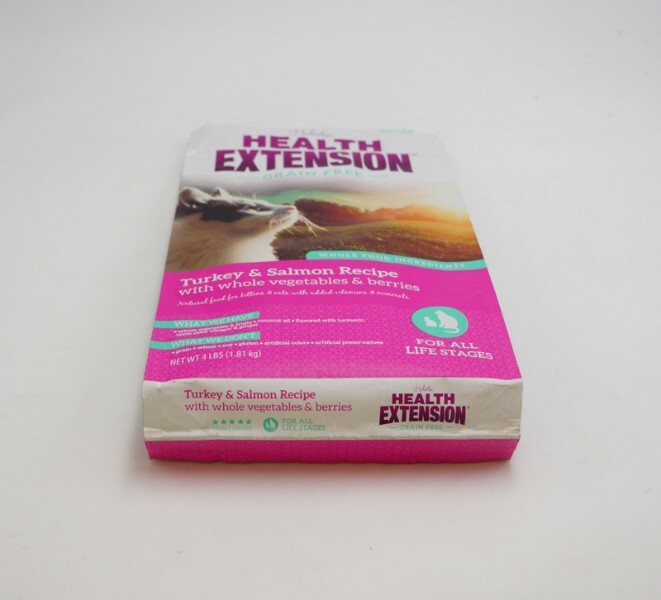 Cat food quad-seal bags are made from FDA approved food grade materials. 3. 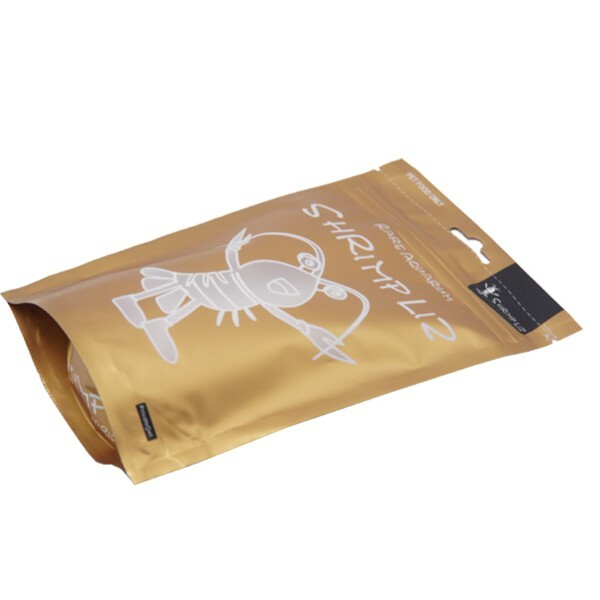 Cat food quad-seal bags are distinctive designed. 4. 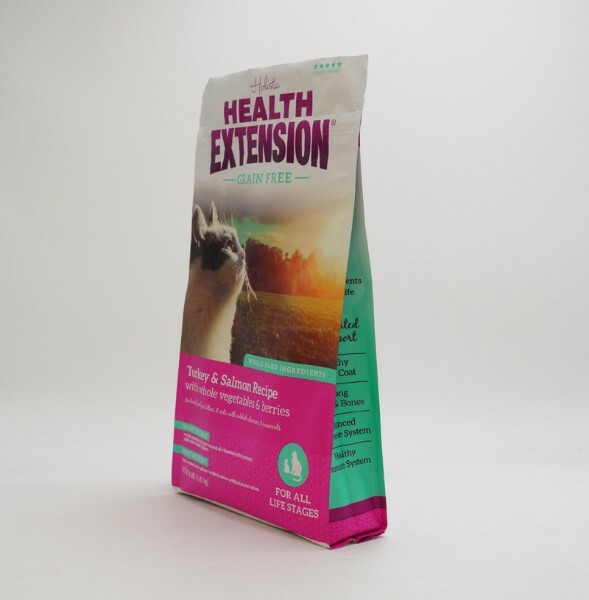 Cat food quad-seal bags are customized printed with customers’ own LOGO. 5. 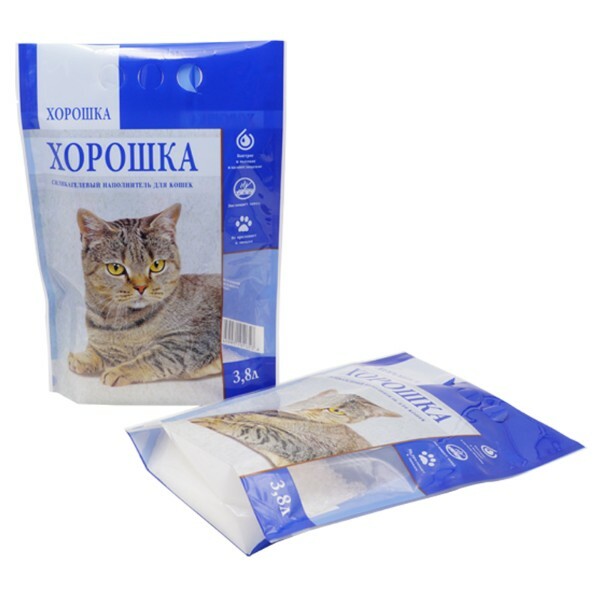 Cat food quad-seal bags are excellent standing effect and strong sealing. 6. 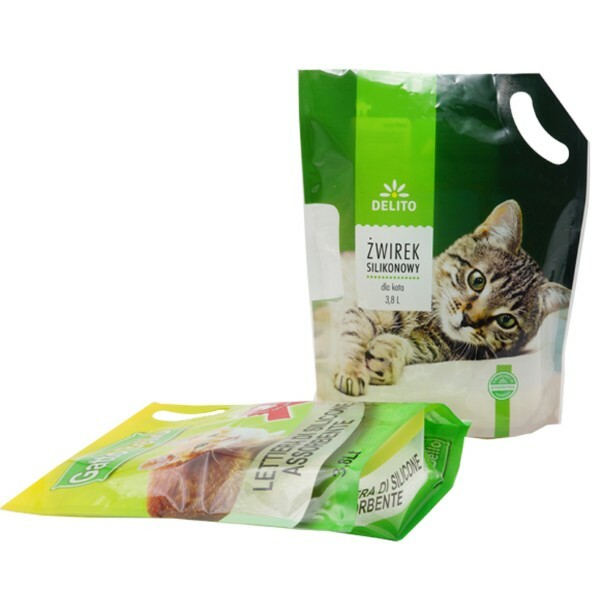 Cat food quad-seal bags are easy to carry, store and transportation. 7. 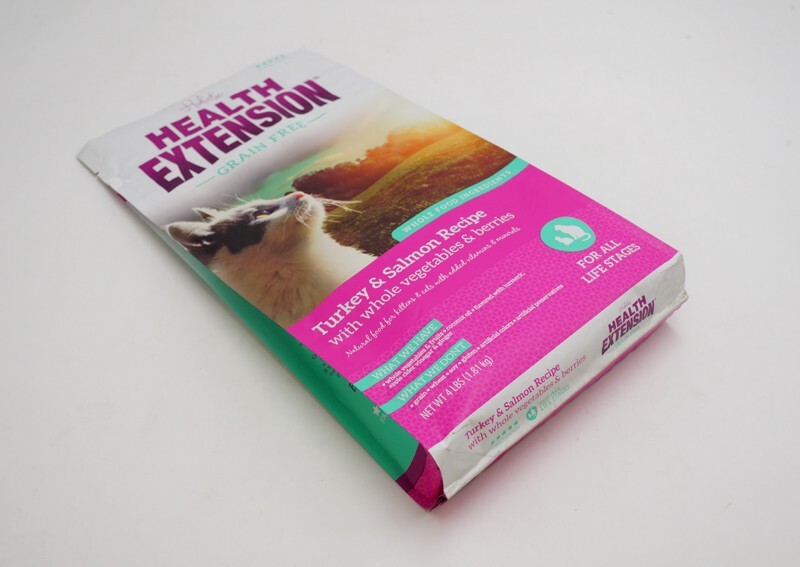 Most cat food quad-seal bags are excellent moisture proof and oxygen proof. 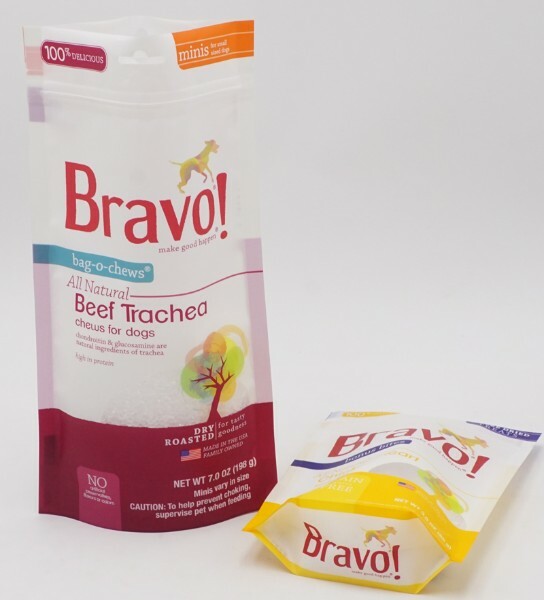 Because of so many advantages that cat food quad-seal bags have become the preferred packaging for many pet food companies’ first choice.